Charles Pouch-Lafarge was a coarse and repulsive 28-year-old man. He was also not having much luck in life. He had married and his wife had died shortly thereafter. In addition, his father had purchased property in the hamlet of Le Glandier in Corrèze and it had fallen into disrepair. To make it profitable, Lafarge turned part of into a foundry, which resulted in him falling into massive debt and being on the verge of bankruptcy. For this reason, Lafarge decided to find a wife that could help him financially, and to accomplish that he hired a marriage broker, a man by the name of Monsieur Foy. In Picardy, France, Marie-Fortunée Capelle was born in 1816. Her father was an artillery officer, and her grandmother was rumored to be the illicit love child of Stéphanie Félicité, better known as Madame de Genlis, and Louis Philippe II, Duke of Orleans. If that was true it made Marie a descendant of Louis XIII of France. 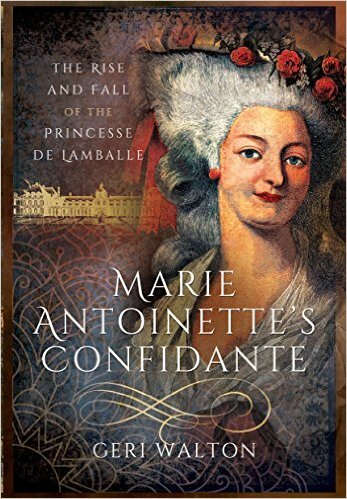 Yet, despite her royal credentials, Marie was described as “not greatly blessed with beauty.” She, similar to Lafarge, also had some bad luck. Her father died when she was twelve and her mother died several years later. Thus, she found herself at the age of eighteen the adopted daughter of her maternal aunt. Madame Marie Lafarge. Courtesy of Bibliothèque nationale de France. Under her aunt’s care, Marie was sent to the best schools. However, she was always aware that she was nothing more than a “poor” relative. This caused Marie to become envious when her school friends got engaged to rich noblemen. Moreover, Marie dreamed of marrying some rich well-to-do aristocrat, but as she had no say in who she would marry and because her dowry — 80,000 francs — while considerable, was not that impressive based on her family’s status, it made it highly unlikely she would acquire the type of husband she ardently desired. At age twenty-three Marie remained unmarried, and to make matters worse, there were no suitors on the horizon. Her uncle had grown tired of supporting her, wanted to relieve himself of the financial burden, and became focused on finding her a husband. Unbeknownst to Marie, her uncle hired a marriage broker. The broker was the same broker — Monsieur Foy — that was hired by Lafarge to find him a wife. Lafarge had advertised himself as a wealthy iron master. He also claimed he owned property worth more than 200,000 francs and that he was earning an annual income of 30,000 francs from his foundry alone. Monsieur Foy thought Lafarge would be the perfect mate for Marie. However, in order to keep Monsieur Foy a secret, Marie’s uncle arranged a chance meeting between Lafarge and his niece. Glandier. Courtesy of Bibliothèque nationale de France. Fortunately, the newlyweds worked things out, and just before they reached Glandier, they reconciled. It seemed as if a blissful wedded life would be the outcome. But their bliss did not last long. After arriving at Lafarge’s mansion, Marie “saw that both she and her relatives had been grossly deceived as to the fortune of her husband.” Rather than some luxurious estate, she found a rat-infested, crumbling mansion, and instead of wealth, she found her husband facing considerable debt. Moreover, her in-laws were no more pleasant than her husband. Marie was overcome with depression and locked herself in her room. The first night she wrote a letter to her husband, begging him to release her from the marriage and threatening to end her life with arsenic if he did not. Unfortunately, he was not willing to release her from her vows. 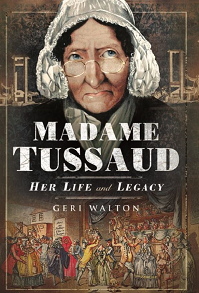 This meant there was nothing Marie could do except reconcile herself to her lot, and, so, she “devoted herself to securing the welfare of her husband” by writing letters to her wealthy friends. In her letters, she informed them that her husband had perfected a new method of smelting iron and implored them to help him financially. With Marie’s letters in hand, Lafarge returned to Paris in December 1839. He hoped to gain investors and also made arrangements to patent his idea for smelting iron. While Lafarge was away, Marie had her portrait drawn and became determined to send it to him during his absence. When she packaged up her portrait, she also included a letter and five small cakes made by her own loving hands. Witnesses saw her package the parcel and seal it. However, when the parcel arrived in Paris, it was unsealed and besides the portrait and letter, there was one large cake rather than five small ones. While in Paris, Lafarge obtained 25,000 francs from Marie’s relatives, and when he received the parcel, he was delighted, “partook of [the] cake, and soon after he became excessively ill, and was compelled to return home.” Lafarge arrived at Glandier on 5 January 1840. By the time he arrived home, he had only 3,900 francs and there was no hint as to what happened to the rest of the money. Lafarge then suffered for more than a week and died on the 14th of January leaving everything to his poor widow. In the middle of January 1840, just as Marie was about to inherit all of Lafarge’s wealth, she was arrested by police on an astonishing charge: Police claimed she had poisoned her husband. Moreover, her method of murder was supposedly “by administering arsenic to him during his illness.” With a charge of murder levied against the widow Lafarge, a search of Marie’s house was conducted, which in turn resulted in more charges against her. It seems that years earlier a friend of the widow Lafarge, the viscomtesse de Léotand, had been the victim of a jewelry theft. At the time, suspicion fell on Marie, but because the viscomtesse and Marie were friends, the viscomtesse thought it improbable she had stolen the jewels, and, so, police did not pursue the matter. Everything changed when the viscomtesse’s missing diamonds were found in the possession of the widow Lafarge, which resulted in a charge of theft being added to that of murder. The widow Lafarge’s trial did not occur for six months, and it was on 9 July that she was brought before the bar. The charge of theft was easily proved as there was overwhelming evidence that she had stolen the viscomtesse’s jewels. On 3 September, while her guilty verdict of theft was under appeal, the widow Lafarge was arraigned for murdering her husband. These proceedings were “unparalleled in the records of jurisprudence,” because for the first time, forensic toxicological evidence would be crucial in getting a conviction. Madame Lafarge in Prison. Courtesy of Bibliothèque nationale de France. The Public Prosecutor wanted to “convict the accused,” and the Judge, using copies of previous examinations, also attempted to trap the widow Lafarge into giving contradictory statements. In addition, evidence from the prosecution showed Lafarge’s illness began after he ate the cake and that one large cake arrived rather than five small ones. Moreover, the prosecution alleged it was the widow Lafarge who packed and sent the “medicated cake,” yet she was not the only one suspected of murdering Lafarge. Lafarge had a chief clerk named Denis Barbier, and “certain circumstances threw suspicion upon [Barbier] in connection with the crime.” Barbier had claimed he needed to visit Guéret but then he made a clandestine visit to Paris after the widow’s parcel was sent. Barbier was also supposedly present when Lafarge received the parcel. So, the widow’s defense alleged that Barbier was the guilty party and that he had ample opportunity to switch the five cakes for one poisoned one. The bowl with the remnants of arsenic was not the only evidence implicating Marie. There was also ample proof that arsenic was found in large quantities throughout the mansion. For instance, the same day the incident with the chicken broth occurred, Le Brun claimed to have seen Marie take a glass of wine, take something out of a drawer, and mix it into the wine with a spoon. Moreover, when the powder in the drawer was checked, a chemist declared it to be arsenic. Mathieur Joseph Bonaventure Orfila. Courtesy of Wikipedia. Madame Lafarge in court. Author’s collection. Was she guilty? An elaborate examination was conducted by the Edinburgh Review in 1842. The writer accused Barbier of being the murderer partly because he did not have the best character: Barbier was said to have “lived by forgery, and was the accomplice of Lafarge in some very shady transactions, by which that unhappy man sought to cover his insolvency. Barbier had [also] conceived a violent hatred against Madame Lafarge, as her presence was likely to hinder his nefarious practices, and especially to weaken his hold over his companion in crime.” Furthermore, it was noted that Barbier had unrestricted access to the mansion, the chicken broth, the wine glass, the drawer, and even to Lafarge’s corpse and stomach, which would have allowed Barbier to introduce arsenic into any of these places. “The Story of Madame Lafarge the Poisoner,” in Aberdeen Journal, 21 August 1889, p. 5. “The Strange Story of Madame Lafarge,” in Dundee Evening Telegraph, 30 December 1897, p. 3. “The Story of Madame Lafarge the Poisoner,” p. 5. Wigmore, John Henry, The Principles of Judicial Proof, Volume 1, 1913, p. 129. “The Strange Story of Madame Lafarge,” p. 3. The Eclectic Magazine, Vol. 67, 1898, p. 686. The Cornhill Magazine, 1898, p. 103.